The PlayStation 4: Should We Be Hyped? Welcome aboard the PlayStation 4 hype train! I’ll be your conductor for this long, bumpy journey. But wait right there, oh faithful passenger. We’re all super stoked for the PlayStation 4, but there are some points that should be made about last night’s media blowout. Put simply: we don’t know enough to get this hype train rolling just yet. Let’s start with what we know that’s great. The specs themselves were fantastic for a home console. We assume it will have a big hard drive, it’ll sport an 8 core x86 processor and a GPU with 1.84 teraflops, The real stunner? 8 GB of GDDR5 RAM. That’s fantastic. That’s super fast, and it means that Sony is trying to keep things as quick and immediate as possible. The controller doesn’t present much in the way of odd gimmicks. In fact, it looked like the next iteration of the DualShock model, which is great news. Sony could have crammed screens, touchpads and all sorts of extra jazz into the thing, but they stuck with an improvement upon what works. That’s good stuff. The physics demos were very promising. They might not have been all that exciting to see during a press conference, but watching so many particles drop and react to a 3D space was great. 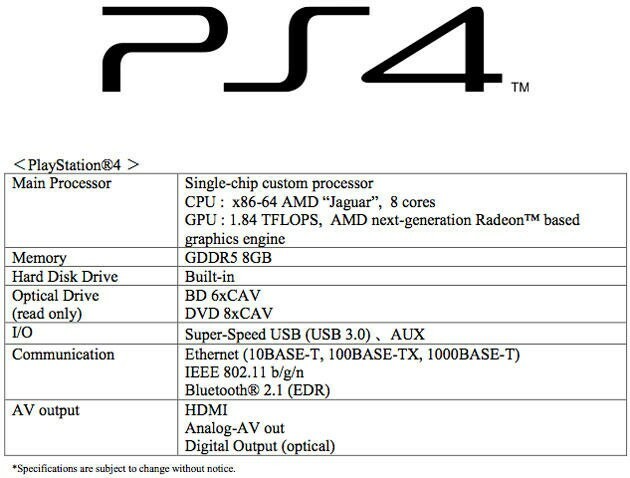 It means that the PlayStation 4 is a capable piece of hardware. Finally, the fact that Sony kept harping on how instant and immediately available gaming content would be is awesome. Right now, the PlayStation 3 is a little bit of a nuisance when it comes to playing games. You have to install them, download tons of slow updates and navigate a UI that was desperately in need of an upgrade. All of the buzzwords about the PlayStation 4 last night expressed a very convenient and immediate style of content navigation. Some of it sounded a little too “big brother,” like the idea of knowing which games you’ll buy and downloading them in advance, but the notion of keeping things super quick is wonderful. Speaking of big brother, we also know an Internet connection will not be required to play games. Check that box for consumer-minded philosophies. On to what we know that’s not so great. In a press conference built solely to generate hype for an upcoming device, there aren’t many negatives that a company would be willing to admit. We’ll touch on the hidden stuff in the next section, but there’s only one big negative that came from Sony script last night. The PlayStation 4 will not be natively backwards compatible. If you’re a regular here, you might remember me saying I would love to have seen this in the PlayStation 4. We heard that news when Gaikai CEO David Perry took the stage to talk about how their cloud gaming tech would be brought to use in the PS4. Gamers will have seemingly full access to the classic PlayStation library at the press of a button. That sounds great, right? Hold up there, Tonto. The only thing new about this idea of backwards compatibility is streaming. You can buy a ton of old games on the PlayStation 3, the PS Vita, the Wii U, the Nintendo 3DS and the Wii… not to mention the PC, which is inherently backwards compatible. This is not new. Like I said, the new stuff is the streaming. Which sounds great, but consider how companies do virtual consoles today. Oh, you’ll be able to play PlayStation 3, 2 and One games on the PS4 by way of Gaikai’s streaming tech. That’s awesome. But, you’ll have to buy access to the games. Whether that’s part of a subscription or a one-and-done fee for each game remains to be seen. Spin it however you like it, taking away native backwards compatibility means you’ll either need to hold on to your PlayStation 3 or pay for the games again if you want to continue playing them. Now for what we didn’t see. We didn’t see the console. It would have just been a plastic box, but we still didn’t see it. Remember the last time this happened? It was the Wii U. We saw the GamePad and nothing else back at E3 of 2011. Last night? 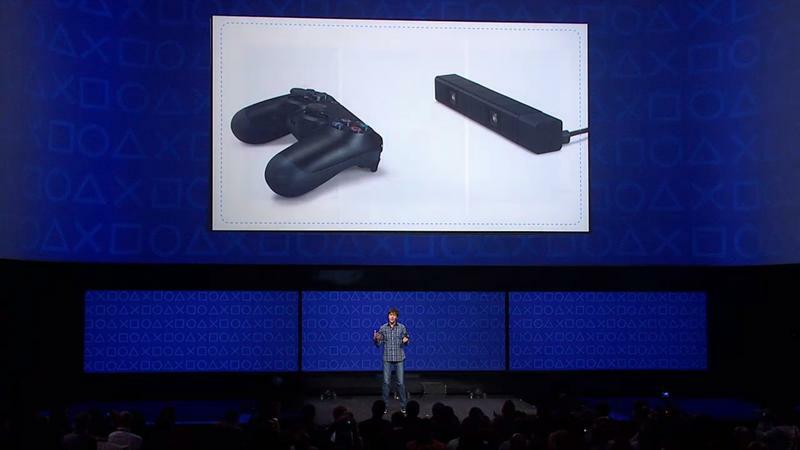 Sony’s PlayStation 4 was an imaginary thing. It’s coming this fall, that’s certain, but we didn’t see it in person at the event. The only genuine game demos we saw were for titles already in development on other platforms. I don’t buy the way Killzone: Shadow Fall looked, I’m sorry. After all the recent buzz about curated demos that lead up to the launch of Aliens: Colonial Marines, I’m not entirely sure I can trust too many “live demos” ever again. Taking that further, Killzone has a history of looking much more gorgeous in console announcement shows than in real life. When Killzone 2 debuted during Sony’s PlayStation 3 unveiling at E3 2005, it looked stupendous. Truly, this game looked absolutely gorgeous in motion. Flash forward to two years later at E3 of 2007, and we saw a trailer that was not nearly as good looking as the original clip. We might be looking at something like that for Killzone: Shadow Fall. Right now, Killzone: Shadow Fall‘s potential demo was the closest thing we got to seeing a PlayStation 4 exclusive in action (not counting the brief moments we saw them play Knack on the PS Vita). Watch_Dogs has been in development for the PC, Xbox 360, PlayStation 3 and Wii U for years now, and it looks brilliant for current gen tech (not so much for the PlayStation 4). The Witness looked neat, but it’s been in development for the PC for roughly three years. What about Knack? Sure, there are a ton of moving particles, but does this look much better than the Ratchet & Clank Future games? Finally, let’s talk price. If you thought the Wii U was expensive at $300 and $350, you might want to brace yourselves. Sony’s putting together a machine with 8GB GDDR5 RAM, an 8 core x86 processor, a solid GPU and big-time storage. Based on what I know about building PCs, you could probably slap together a comparable machine for roughly $600-700. 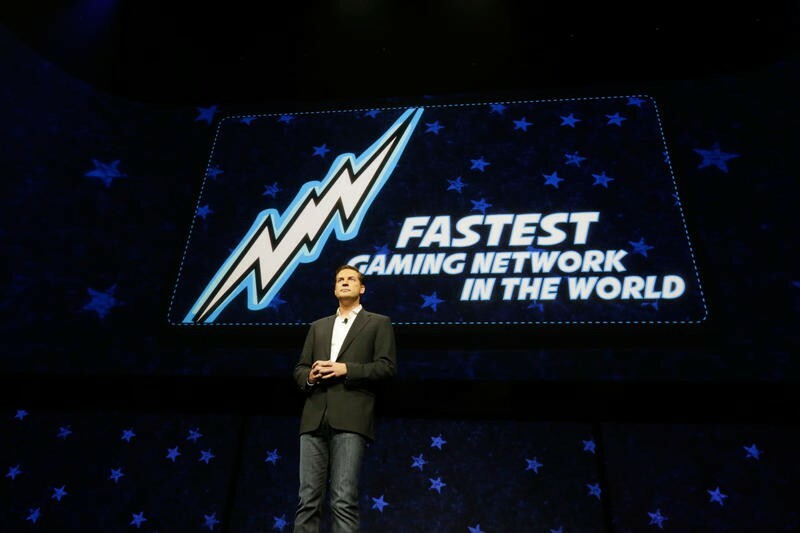 Here’s the thing: Sony’s also launching a gaming network, as they need ways to stream video and host content. They’re selling the PlayStation 4 with a camera sensor and a controller. Those are things that don’t fall into the cost of a $600 gaming PC. So, how much will this thing cost? I don’t know; but I know it won’t be $300. Oh man, where was The Last Guardian? For me, I feel like I’m looking at another Wii U type launch. I don’t see any truly compelling software in the launch window. The best things Sony showed last night were non-exclusives: Destiny, Watch_Dogs and The Witness. Those two games looked stellar. Killzone, inFamous, Knack, Deep Down and DriveClub? Are these the games that you’re going to run out to buy at launch? 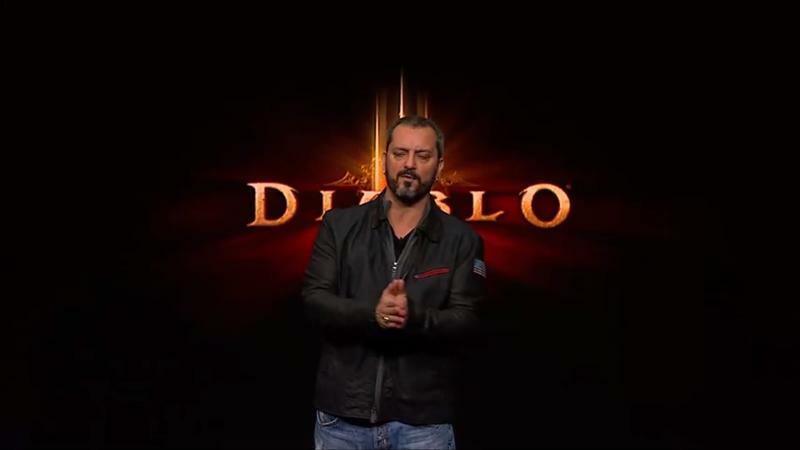 How about Diablo III? Is that a system seller? There was no genuinely compelling launch window software in that lineup. Nothing made me sit up and say, “Yes! I need a PlayStation 4.” Give me something like Uncharted, Ratchet & Clank, LittleBigPlanet or The Last of Us.There was none of that. Nothing showed up that floored me. Listen, it’s not about the graphics. 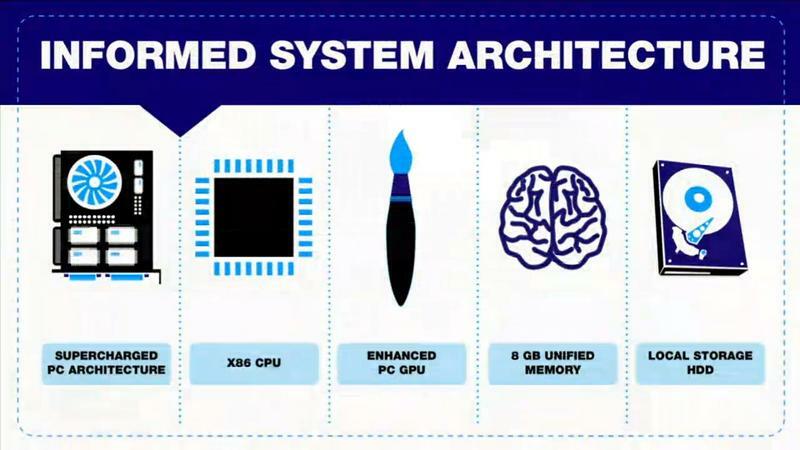 It’s not about using phrases like “teraflops” and “x86 architecture.” If I want graphics in spades, I’ll turn to the much more open ended PC platform. It’s about the games. Show me the games.So far, the most impressive games were ones that weren’t PlayStation 4 exclusives. I’m pumped for Watch_Dogs, The Witness and Destiny; but, I don’t need a PlayStation 4 to play them. With that all in mind, this thing has promise. A lot of promise. The hardware and sharing ideas alone spark a lot of potential for me. There’s nothing launching for the system just yet that makes me want to start saving me money, but I have a feeling the PlayStation 4 will wind up with one of the best libraries in gaming. For now, we got a whole lot of marketing bluster. Connected. Sharing. Community. Immediate. Instant. How many times did you hear those things last night? Those are what we call buzzwords, and you shouldn’t put much faith in just buzzwords. I for one am cautiously optimistic about this one. If the machine were out tomorrow, I’d be waiting a bit to buy one. But, I’m almost certain I’ll snag it within a year. What about you? There’s still a chance E3 could blow us away.